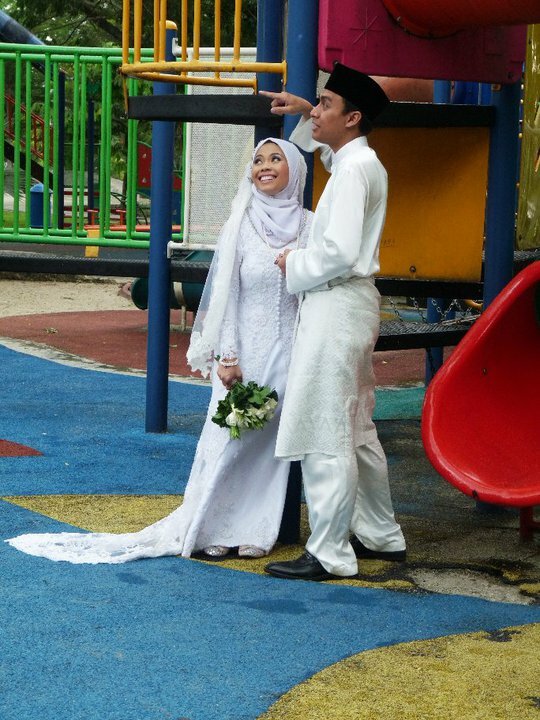 Okeh, after all long stories about my sanding's dresses, here I wud like to write about my nikah outfit pulak. skati je kan..I was told so in 2 weeks before the day. The baju was fine. All ok. Except the kain a lil bit longgar. I did tried the baju on 4 days before the day. But the tailor didn't do anything about that until my nikah day. If I was a bridezilla, I'll sure will call her and ask her to come straight!! Still, the baju was fine je. I just love to have buttons for all my dresses=p hehe..
suka jugak butang2 tuh...comel bangat.. I wore an unfinished wedding dress!!! she wrote about me for 2times!